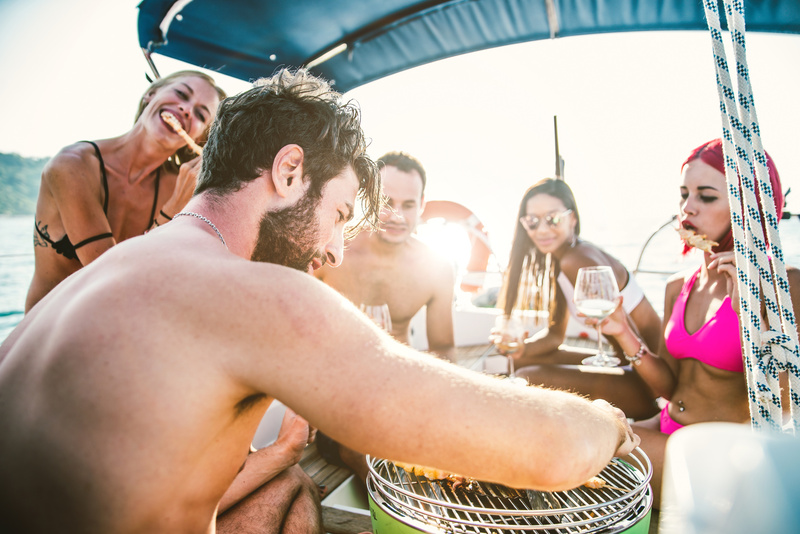 The whole idea of taking holidays, such as organizing a sailing trip, is all about changing the environment, daily routines, relaxation and ‘recharging batteries’. Therefore my point is to remind you that cooking on board could be fun, and mostly very tasty and unforgettable. So if you don’t spend much time in the kitchen in your off board life, there is no reason not to break that routine and have some time in the kitchen on board. Let me remind you that the old seafarers’ phrase says that the best food on board is always prepared by someone else. That means that people have been avoiding on board kitchen since the early days, but we also know that ship’s cookie has always been one of the most respected crew members. The first step towards crew’s respect would be to volunteer as a cookie. I’m sure that all crew would respect you even if your food does not come out the way you planned. The level of hunger is always higher on board than usually, especially in cases when the closest restaurant is miles away. 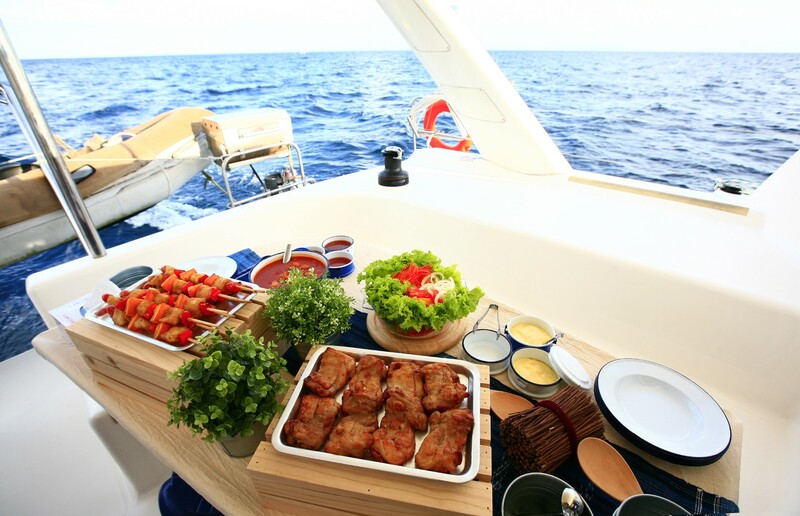 One of the most important principles about cooking on board is to prepare the food as simple as possible. That means that you should do it relatively quickly, to use gas reasonably, not to use too many dishes, not too complicated with too many ingredients and last but not least, to make it tasteful. Your crew has to get enough energy for further sailing duties and to enjoy your food as much as possible. In order to get enough provision and strategically plan the menu for an entire sailing trip, you should have a word with the skipper. He has to discuss with you the route plan so you could organize provisioning depending on the area you are about to sail – is there any store, market, butchery etc. to reload supplies or you should do it prior to taking off? In both cases you should take care of limited capacities of your yacht – the lack of space, the size of refrigerator, cooking devices and dishes available (pots, pans, bowls etc. ), eating habits of your crew (diabetics, vegetarians, intolerance to some kind of food etc.) and at the end your cooking abilities and capacities. That would be the theory while practice gives you the opportunity to engage all your creativity you haven’t been aware of! 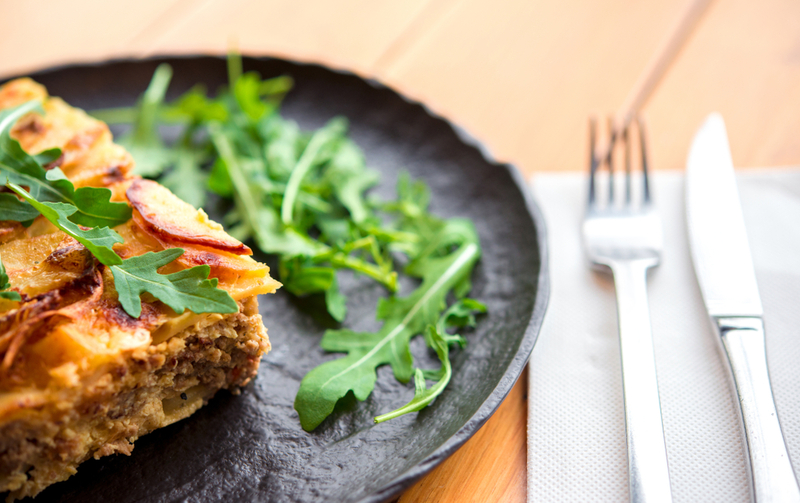 Remember that the delicious food does not have to be complicated!